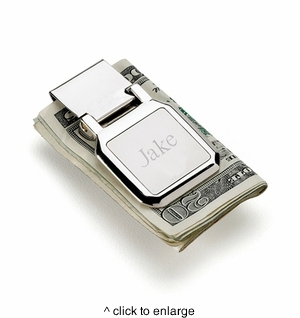 He'll never crumple another loose bill with this stainless steel, buckle-style money clip that bears his crisply engraved with 2 lines up to 10 characters per line. Solid construction and folding clasp safeguard cash, while fashionable design is decidedly Donald Trumpian. Measures 2 1/4" x 1 1/4".